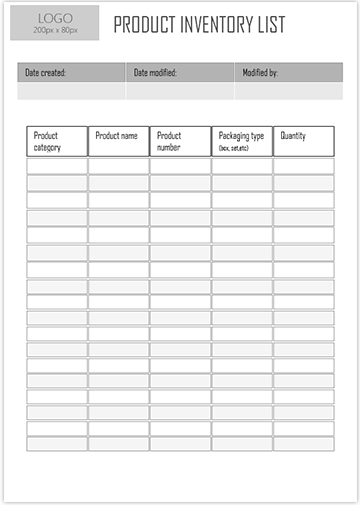 This product inventory list is perfect for any small business inventory or for home use. Additional rows and columns can be added so the template is adjusted to the needs of the project. Click on the download link below to get the DOCX version of the file.